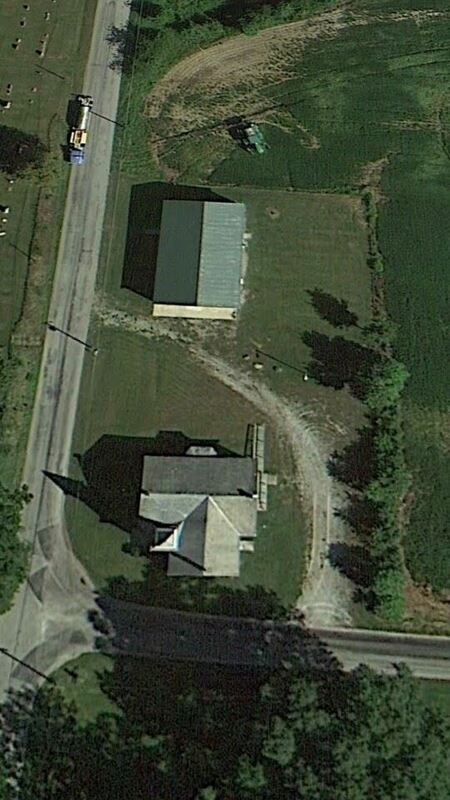 OUR SANCTUARY IS CURRENTLY AT CAPACITY. WE CAN ONLY TAKE IN BIRDS ON AN EMERGENCY BASIS AT THIS TIME. We are a sanctuary ONLY! We do not do adoptions. 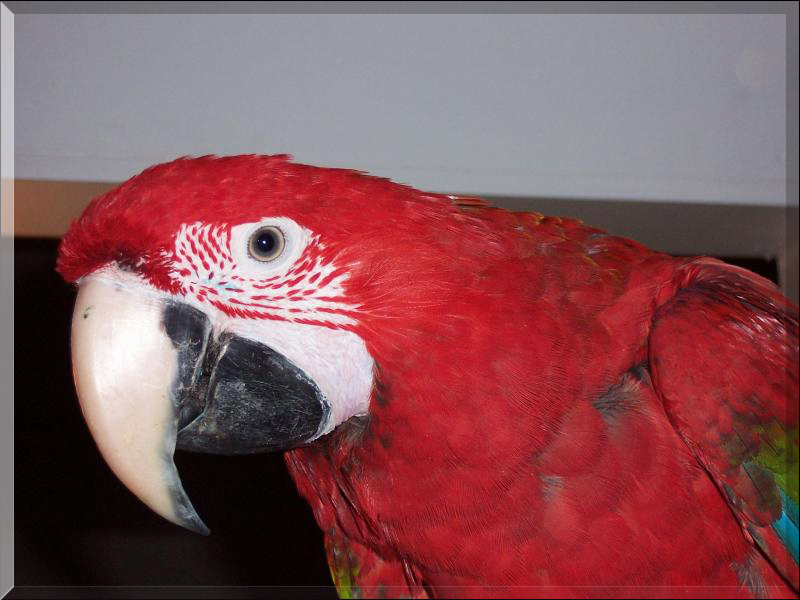 We are in need of donations and volunteers to help with the parrots in our sanctuary! License plates, tote bags, t-shirts are Now Available! 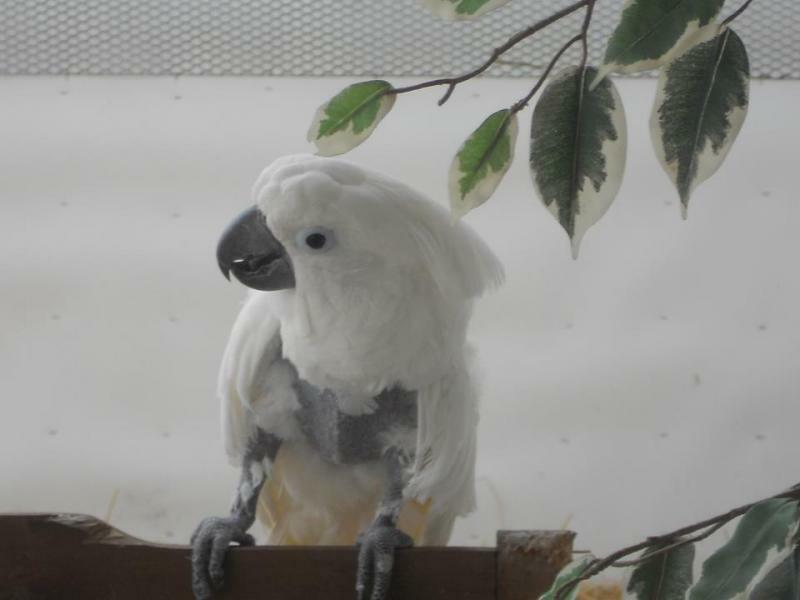 Our love of birds began when we purchased our first bird, "Frosty", an umbrella cockatoo, about ten years ago. We thought we knew what we were getting in to because we had done a considerable amount of research before we brought her home. Boy, were we wrong! After months of screaming and frustration, countless bites, and being chased around the house by her, we realized we knew absolutely nothing. We almost gave up on her!! But, with a lot of love and determination we were able to keep "Frosty". We continued our research and spoke with several experienced bird people. Later, we added a few more birds to our flock with great success. 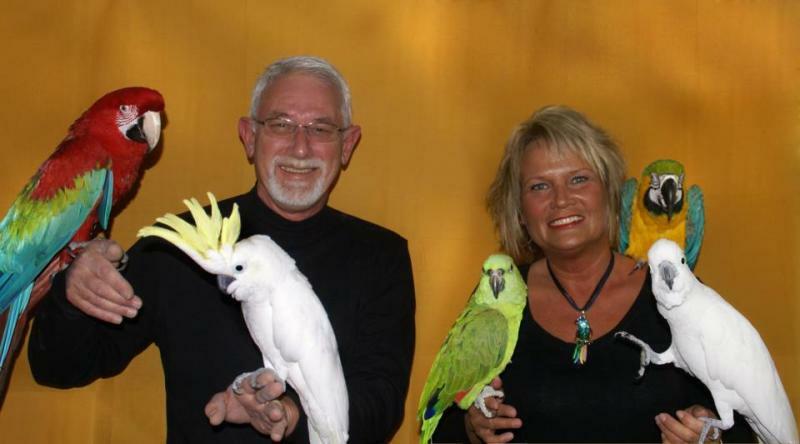 It wasn't long until we began getting calls from other people asking us to take their birds. 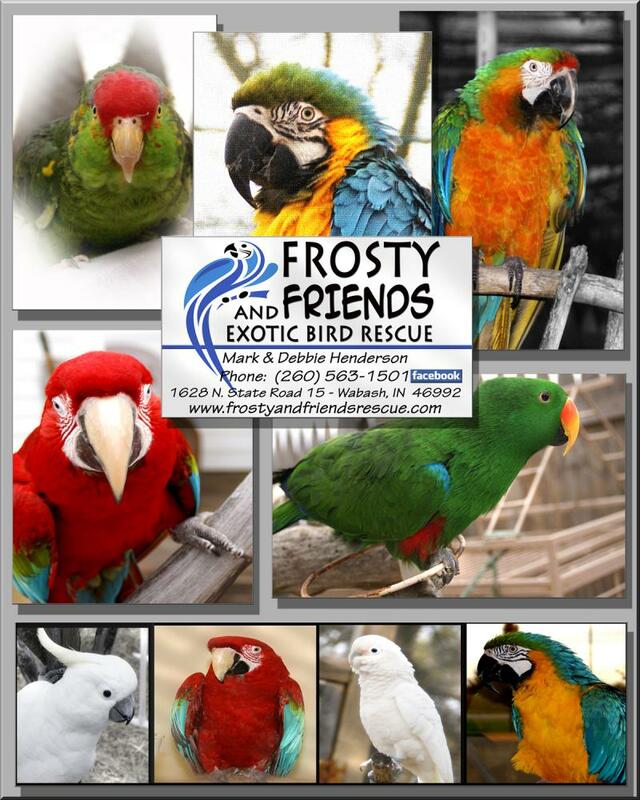 Having no "legitimate" bird rescue in the area, we realized that we could fill a need in the community and provide a permanent and loving home for these birds. 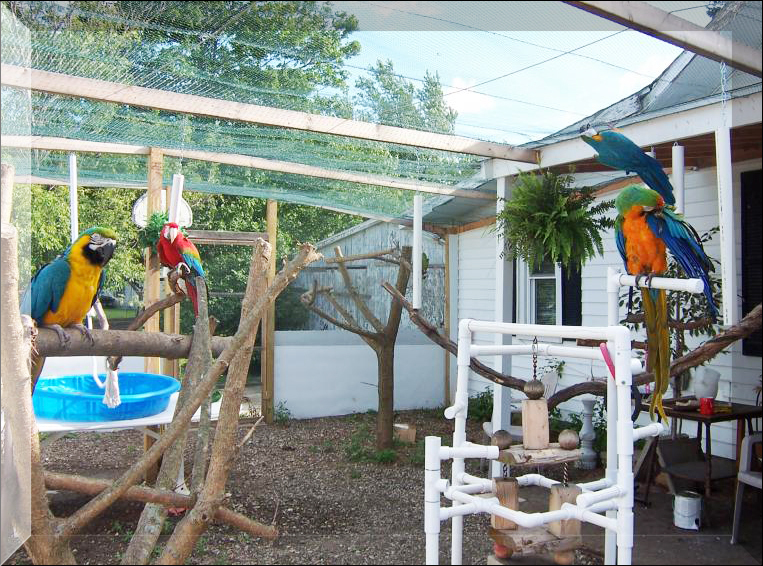 Our mission statement is to provide stable, nurturing, permanent sanctuary to exotic birds that can no longer stay in their present environment. A continual goal is to educate the public on the proper care of the birds as well as educating them of their natural habitat. We will never breed, sell or trade the birds.